Cumbria , once again turning out these little delights for the destination food traveller. 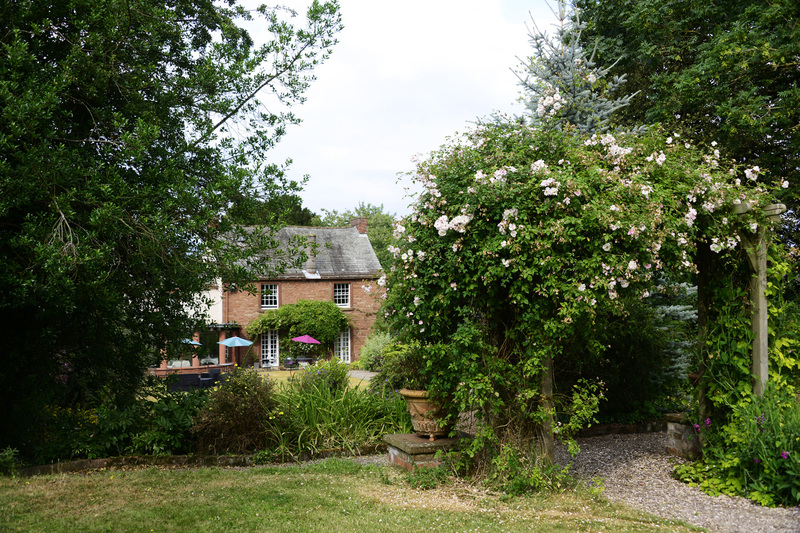 Thanks to social media and our very own Taste Cumbria foodie magazine i`ve managed to add yet another wonderful restaurant to my list “Temple Sowerby House” . One hour drive from home and 10 minutes off the M6 motorway and i`m at Temple Sowerby in the sleepiest of Cumbrian villages. One Pub , One hotel and a few scattered houses….Blink and it`s gone. Chef Jack Bradley hasn`t been working at the restaurant very long. Previously he was working for Andrew Wildsmith at Hipping Hall in Kirby Lonsdale (another hidden gem). It was whist flicking through Instagram food galleries that I discovered Jacks profile and his latest food creations. 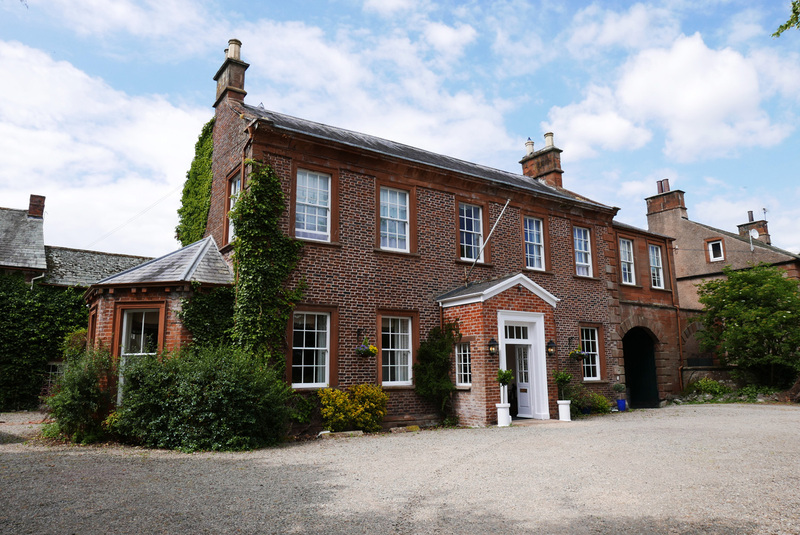 I already had a restaurant in mind for that evening but I very quickly changed my plans and booked into Temple Sowerby house for an overnight stay. A nice room with Breakfast and including an ALC menu (for 2 guests) was £210….Exciting stuff. The Hotel owners (Alison and Andi) greeted us , showed us around the hotel and rooms. Customer relations, smiles and warm welcomes don`t come any better than this….Anywhere. 10/10 for being so lovely guys. The Restaurant was pretty quiet and only 4 tables were occupied during dinner. One Chef (Jack) in the kitchen and one young gent Front of house so we were blessed with the full attention of the staff. 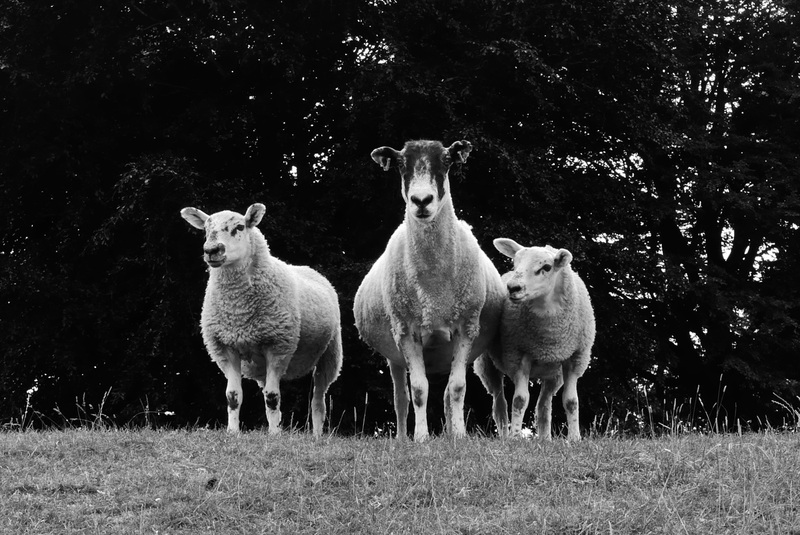 So on to dinner – no diets , no intolerances , just go for it. We just let Chef send out whatever he wanted to feed to us. PRE DINNER TREATS – Crispy Skate , Pickled Wild Garlic seeds – I can only imagine the delights of a dozen of these wrapped up in a piece of newspaper….Heavenly. PRE DINNER TREATS – Roasted Jersey Royal , Caviar and Chicken skin wafers with a Chicken Parfait. – Roasted Chicken skin is always a winner. Wee Blobs of creamy parfait between the wafers just added some magic to the amazing formula. 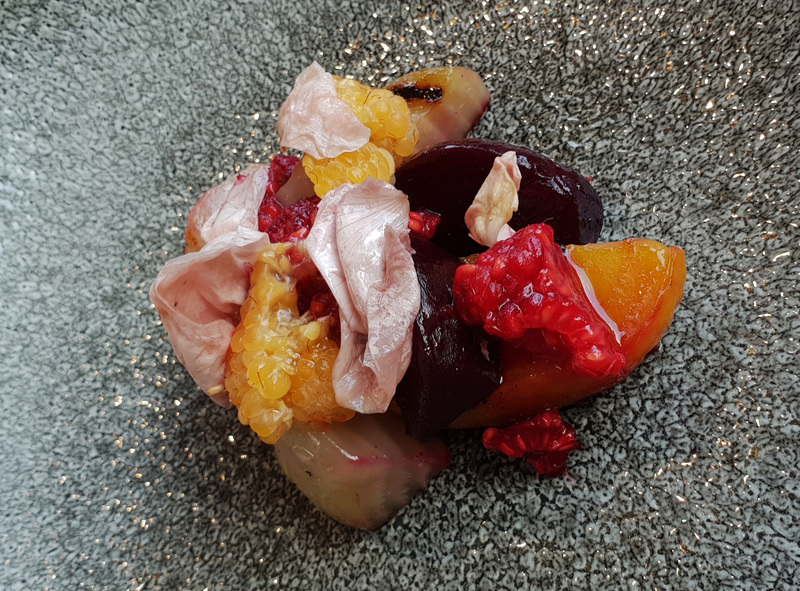 BEETROOT – Summer Beetroot baked in Currant leaf, crushed Raspberries, pickled Rose petals – Great flavoured produce and all perfectly prepared. However a little too much acidity from the Beetroot , Red and Golden Raspberries and Pickled Rose petals dominated the plate. The dish needed balanced up with some Textured element and perhaps a creamy Goat Curd or Ewes milk component to elevate the whole dish to a different level. 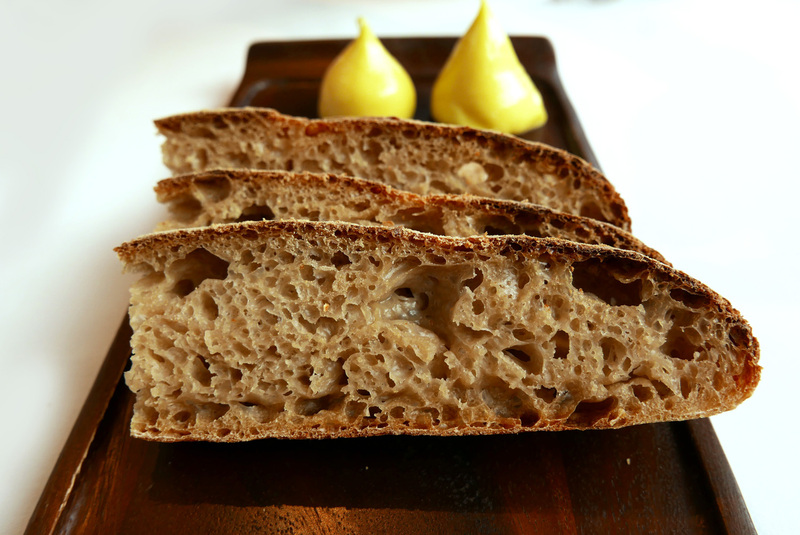 BREAD – 72 Hour Soudough with Home made Butter – Chef has cracked this one and along with the Butter prepared by themselves it was an absolute winner. Also note how good these new phones are when I can`t tell the difference between my Samsung Galaxy S9+ and a Panasonic Lumix with a Leica lens. 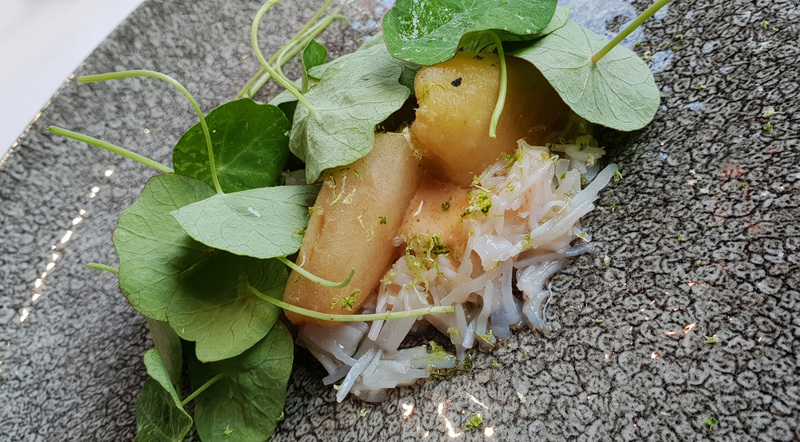 CRAB – White Crab, barbecued Apple, Lime, Nasturtium leaf. 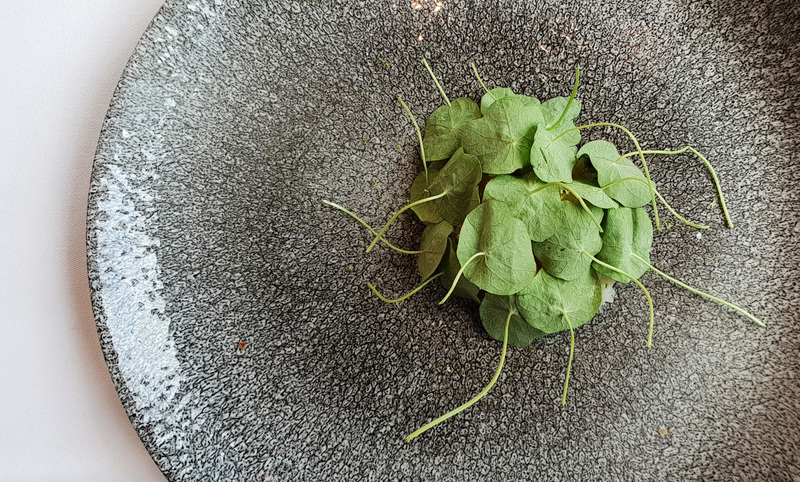 Very modern presentation with the fresh Nasturtium leaves. Underneath it all lay the surprise element of fresh White Crab meat and sweet Apple….beautiful. 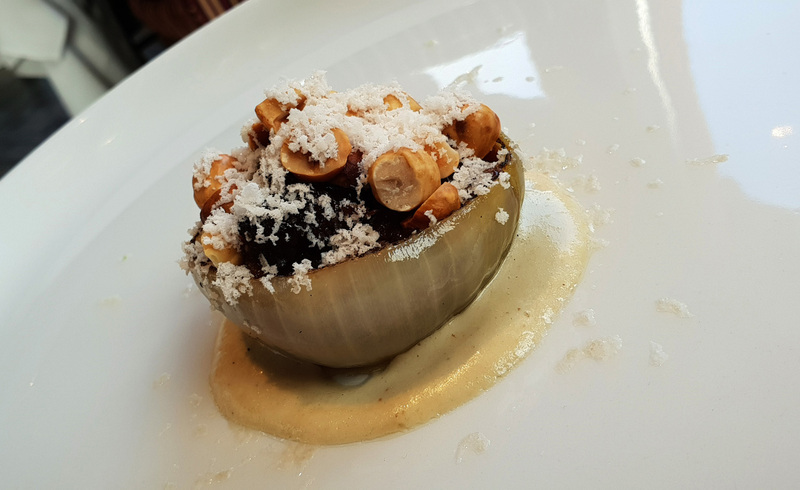 VEAL – English Rose Veal tartare , Onions , Smoked Hazelnuts – An enjoyable dish but a bit out of place on a summer menu. A few sauteed Chanterelles and it would go down a treat on an Autumn and Winter menu. 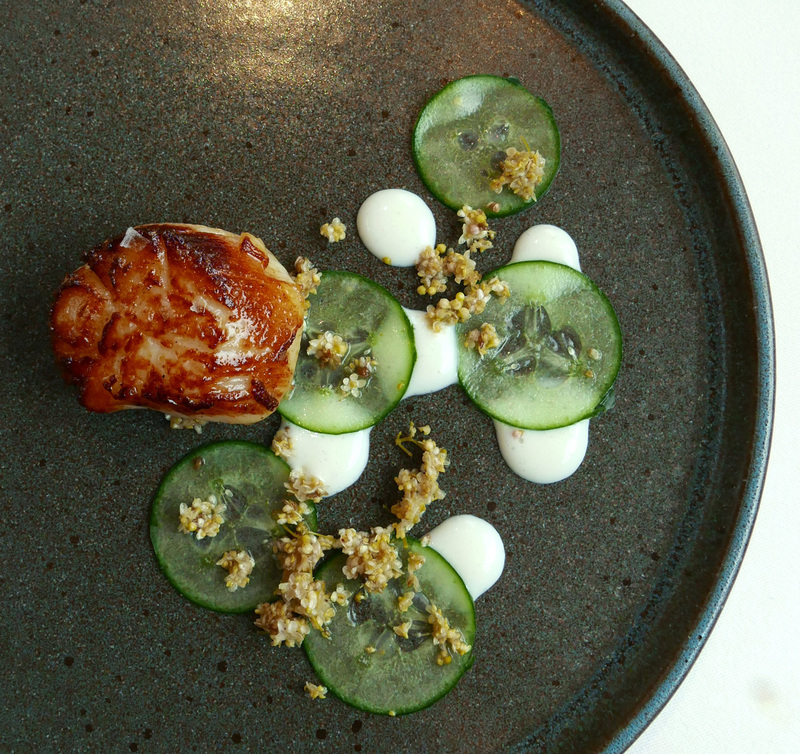 SCALLOP – Hand dived Scallop , Buttermilk , Pickled Cucumber , Elderflower – No “slivers” or tearing the specimen in halves or quarters. These were great big , juicy King Scallops cooked to perfection . Beautifully Caramelised on the outside and perfectly moist throughout. 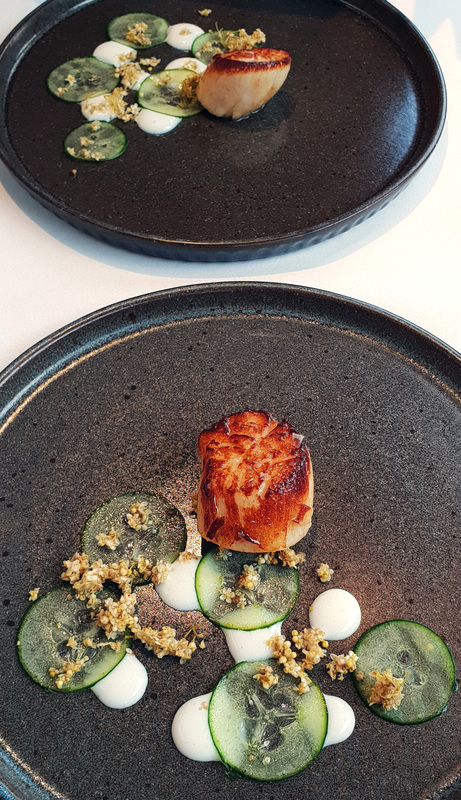 Cucumber was Pickled to order and sweet , sour and floral Elderflower buds paired perfectly with the Shellfish – My favourite course of the meal. HOGGET – Herdwick Hogget loin , Cured Belly , Wild Garlic , Broad Beans, Green Almonds and wild Herbs – Young and tender Lamb , WOW. 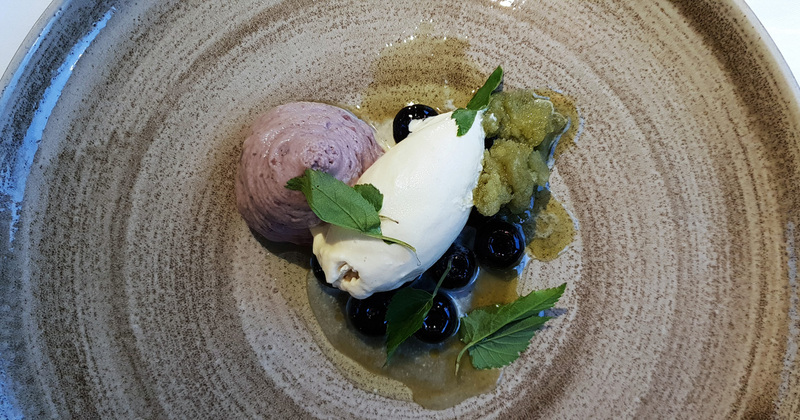 BLUEBERRY – Wye valley Blueberries, Meadowsweet, ground Elder – Apparently Meadowsweet is Chefs favourite flavour. 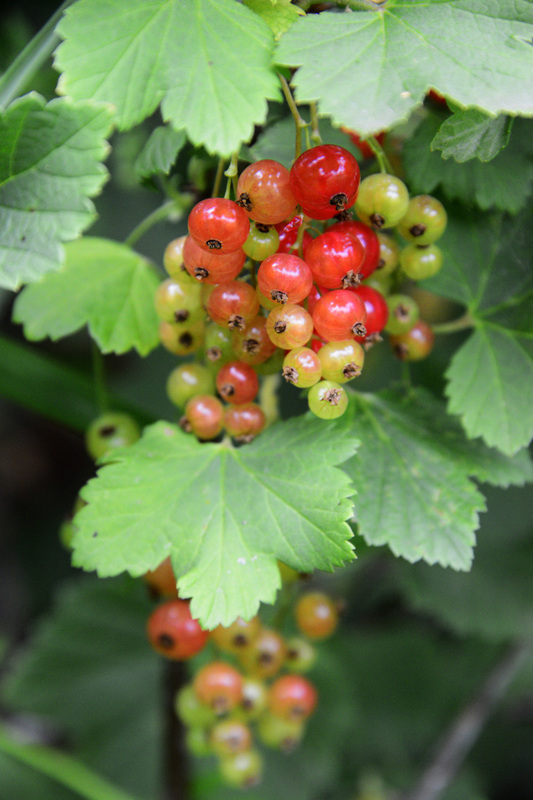 A lot of the time all the trendy and wild foraged products add no benefit to a dish when their flavour can`t be detected. 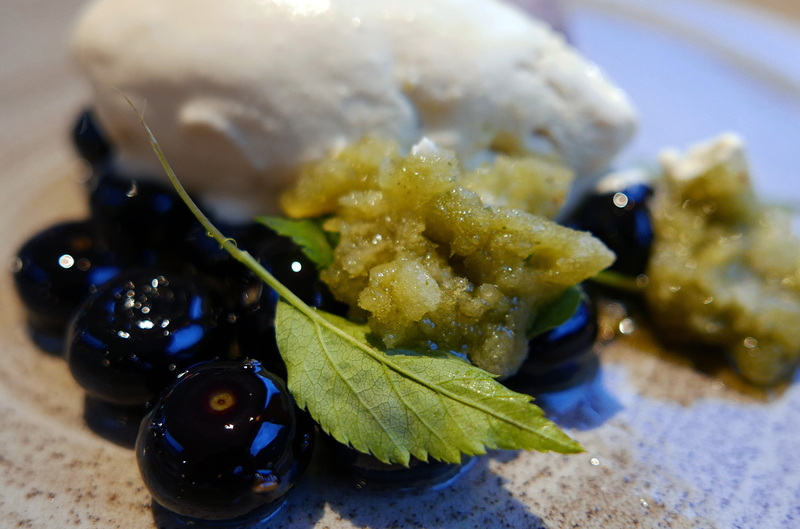 I definitely couldn`t say that about Meadowsweet ice cream….and it worked so well. 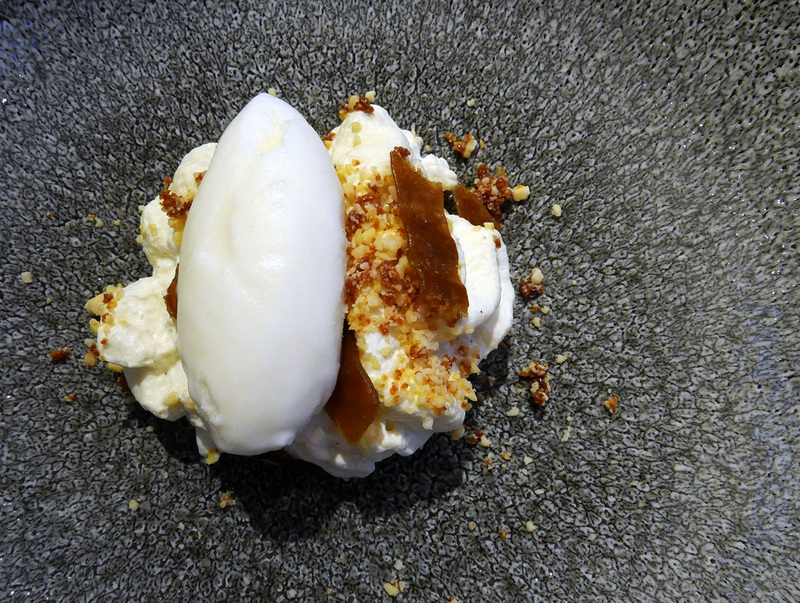 WOODRUFF – Woodruff, Rhubarb, Salted Almond, Yoghurt Sorbet . By this time of night the Pink bubbly stuff , White , Red and Dessert wines had taken their toll so unfortunately this course was a bit of a blur. Such a shame because the puds are always my favourite part of the meal. However , the answer to this is a simple one … I just book in and go back for another visit. 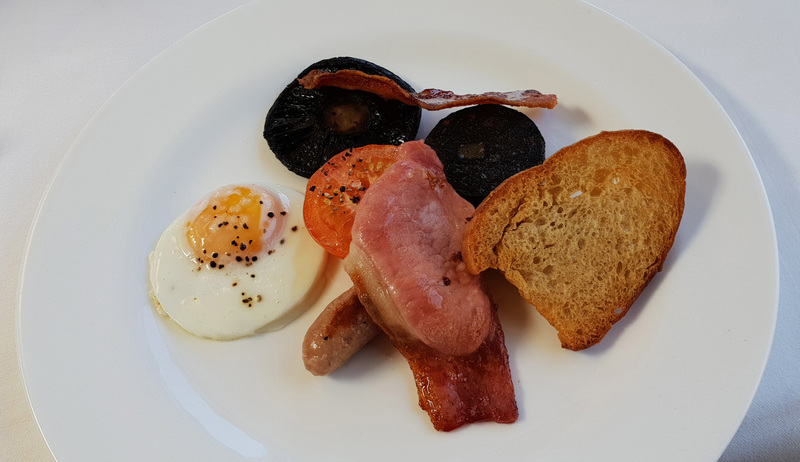 Full Cumbrian Breakfast (where`s the Beans Chef ?) 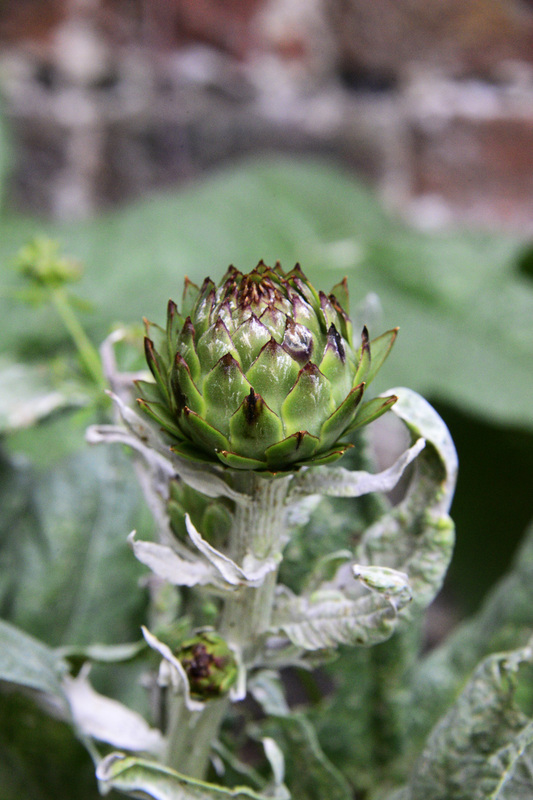 in the morning then a meet up with Chef Jack for a walk through the gardens and a very valuable Masterclass in foraging. Please go out and support this venture and put some bums on seats , they really do deserve it. 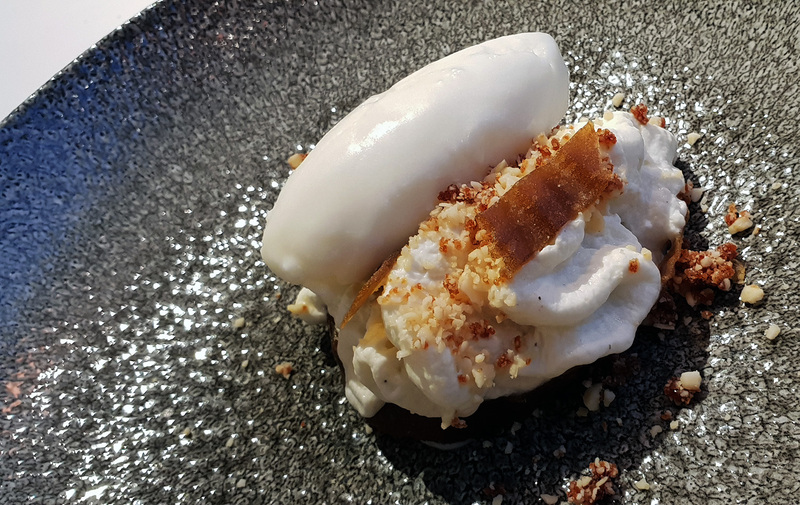 An exciting ALC menu for £45 is definitely worth a 10 minute detour from the Motorway for anyone heading past the Penrith turn off and if you ask nicely then i`m sure Chef will put you a little Tasting menu together for a longer lasting dining experience. Will I return to Temple Sowerby house ? 100% Yes. 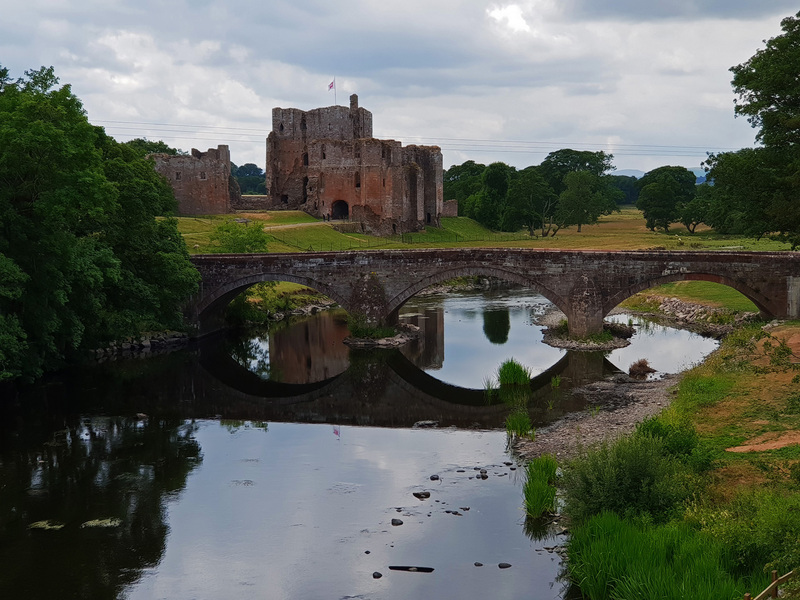 5 minute drive back towards Penrith and you`ll be at Brougham Castle , well worth a look around. 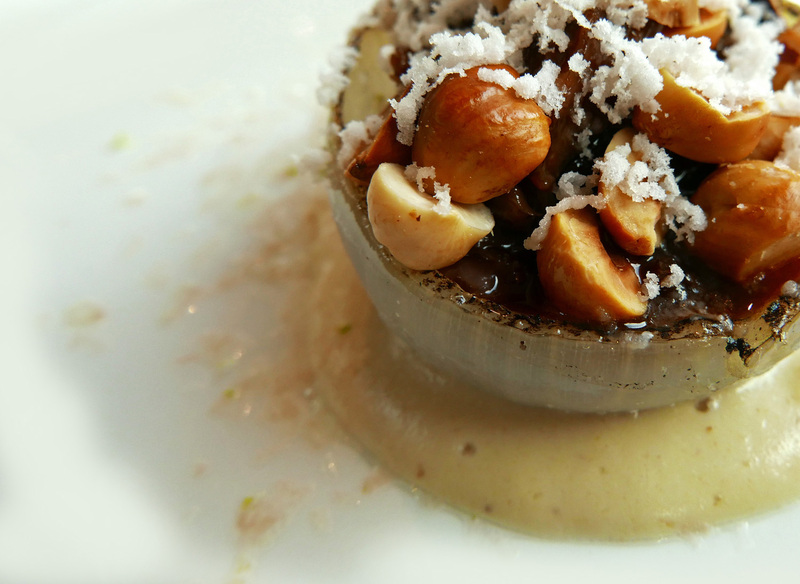 Previous Post Restaurant Mark Greenaway – Edinburgh. Next Post Rogan & Co , Cartmel Village.